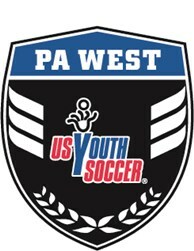 PA West Soccer ODP heads to Barcelona, Spain April 14-22. The trip, coordinated by World Strides' Excel Programs, includes exploring and experiencing the culture of Barcelona, a tour of Nou Camp, attending a pro match, and matches against top local youth teams. The trip is open to 2002-2007 Boys and Girls players. For more info contact World Strides at odp.excelsports@worldstrides.org.